Women’s History Month is slowly coming to a close. This month the Borderlands History Interview Project chose to focus on the career of Vicki L. Ruiz, a pioneer in women’s history of the borderlands. We were not the only ones who thought to celebrate Ruiz. 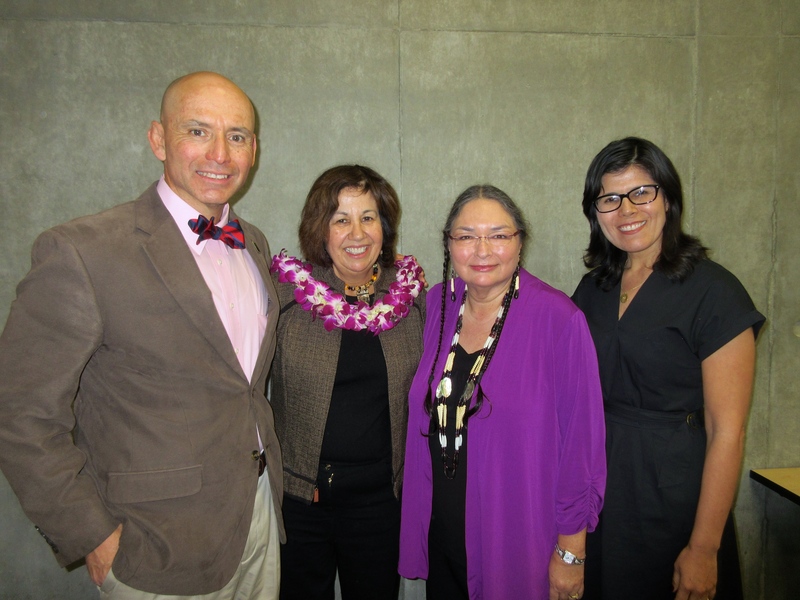 The University of California, Irvine’s convocation of the Nuestra América: Rethinking Fronteras in US History, A Conference Honoring the Career of Vicki L. Ruiz sought to do just that! What follows is a brief recounting of the conference and a discussion of the influence Ruiz continues to have in the academy. At the Nuesta América conference, Dr. Margie Brown-Coronel asked the audience “What Would Vicki Do (WWVD)?” Well, she’d do a lot. She’s the outgoing president of the Organization of American Historians and the current president of the American Historical Association. In the past Vicki Ruiz was president of the Pacific Coast Branch of the AHA, the Berkshire Conference of Women Historians, and the American Studies Association. What else would she do? She authored and edited over a dozen books and articles on the history of Mexican-American women and men in the United States. In 2012, she was the first Latina to be inducted into the Academy of Arts and Sciences. At the end of March, Ruiz will be celebrated by the National Women’s History Project as a Women’s History month honoree. Her scholarship would center the lives of Chicanas and Latinas in the United States history and foreground the importance of the borderlands in this larger narrative. While her career, scholarship, and service have garnered the attention of the academy for decades, her teaching and mentorship also reveal all that Vicki has done and continues to do. During a pleasantly cool day in February 2015, I joined colleagues, students, and eminent historians to celebrate the career of Dr. Ruiz in Irvine, California. The conference was divided into three sessions with an excellent keynote address by Dr. Margaret Jacobs, nestled in between. It opened with a beautiful poem by Dr. Naomi Quiñonez, one of Ruiz’s first students. Quiñonez exalted the determination and passion Ruiz has inspired in all of her students and Ruiz’s focus on the history of the lives of women who for too long remained in the shadows. The morning session, moderated by Sharon Block, UC Irvine, featured papers by Drs. 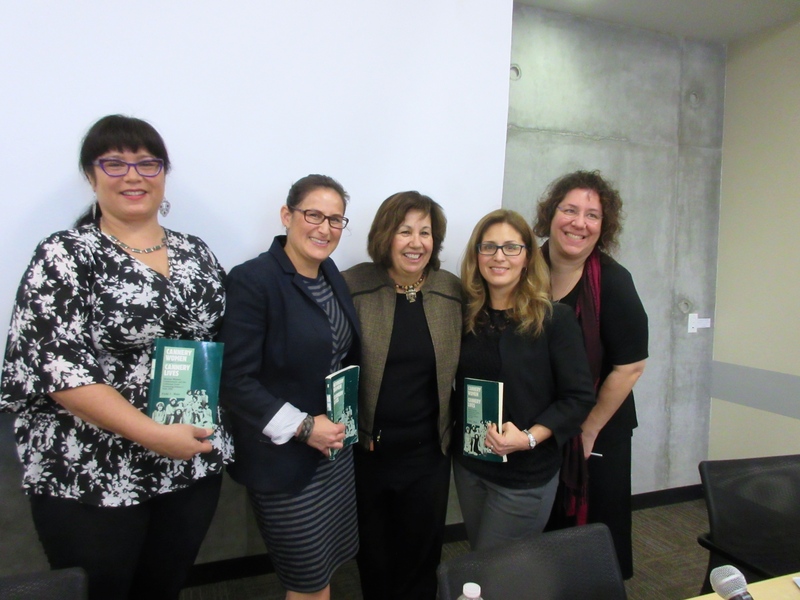 Mayeli Blackwell, UCLA; Margie Brown-Coronel, CSU Fullerton; and Marisela R. Chávez, CSU Dominguez Hills, and all inspired by Ruiz’s Cannery Women, Cannery Lives. Blackwell’s “Geographies of Difference: Mexican Indigenous Women’s Activism and Transborder Organizing” focused on the lives of Oaxaqueña migrant activists in Los Angeles and their organizing skills and strategies both in the U.S. and their townships in Oaxaca. Brown-Coronel introduced us to the nuevo refran, known as “WWVD?” Discussing her paper “At the Cross Sections: Locating the Dimensions of Latina History,” Brown-Coronel asked “what would Vicki do?” when confronted with meager sources relating to women as historical actors. Reading in between the lines and against the grain Brown-Coronel reconstructed the life of Ysabel Varela del Valle an important Californiana in nineteenth century Los Angeles. Chávez’s “Taking Control of the Narratives: Chicana Oral History and its Complexities,” introduced her personal visions about oral history. Describing the first oral interview she conducted as an undergraduate student with her maternal grandmother, Chávez described the various layers that have marked that conversation since. Different questions she would ask, new concerns that have invariably presented themselves, her grandmother’s silences, and her grandmother’s death, showed Chávez’s complex analysis of the strengths and weaknesses of oral histories in recuperating the lives of Mexican-origin women in the United States. After an excellent Q &A we moved quickly to grab lunch provided by various departments and organizations at UCI, many of us chatted and exchanged stories about our connections to Ruiz, and then hurried back for the keynote address. 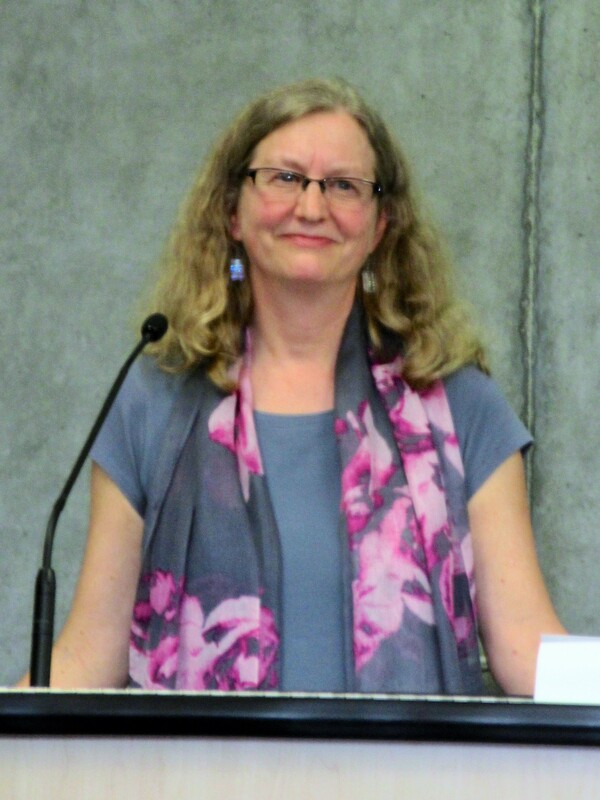 Dr. Margaret Jacobs, University of Nebraska, Ruiz’s student at the University of California Davis, presented excerpts from her forthcoming book A Generation Removed: The Fostering and Adoption of Indigenous Children in the Postwar World. Jacobs presented her study of the large numbers of Indian children that were separated from their families after 1960 and the degree to which some families reclaimed their parental rights by organizing against the corrupt foster care system in the United States. Furthermore, Jacobs contended these forced separations were a global phenomena occurring in Canada and as far away as Australia. Jacobs’ excellent research and analysis revealed new dimensions of postwar life for Indian families in the United States. Before presenting her work, however, Jacobs thanked Ruiz and underscored Ruiz’s mantra: in order to fulfill our roles in academia we must continue to pay it forward both as teachers and scholars. The following panel moderated by Anita Casavantes Bradford, UC Irvine, focused on Ruiz’s From Out of the Shadows highlighting “Struggle and Self-Determination in the Borderlands.” The panelists came from diverse areas of study and highlighted the hidden histories of Mexican-origin peoples in the United States. Dr. Frank Barajas, CSU Channel Islands, presented his paper “A Mexican American with Moxie: Rachel Murguia Wong’s Struggle to Defend School Integration, 19680-1973.” He looked at the little known history of the La Colonia barrio of Los Angeles and the fight spurred by Murguia Wong a concerned parent and member of the school board to demand integration in public schools in the late 1960s. Dr. Natalia Molina, UC San Diego, in her paper “The Importance of Place and Place-Makers in the Life of a Los Angeles Community,” used her family’s history in Echo Park to look at the cultural crossroads of this area and the current push to gentrify this historically integrated space in Los Angeles. In a personal retrospective of the history of her home, Dr. Annette Reed, CSU Sacramento, talked about “Honoring Our Mothers: Their Legacy is Part of Our Legacy,” which examined life on the River Smith Rancheria. Particularly the ways in which the history we chose to interrogate is inextricably linked to our lived experiences. Finally, Dr. Ana Rosa, one of the main organizers of the event thanked us all for attending and in conjunction with Anita Casavantes invited the audience to speak about Ruiz and the significance of her career and scholarship. Many stood to thank Ruiz for her mentorship and friendship which for most is indistinguishable. For the final part of the conference, we all filled a small and intimate auditorium to view the documentary No Más Bebés Por Vida before its official release sometime this summer. This profoundly moving film produced by historian Virginia Espino, UCLA and directed by Renee Tajima-Peña reveals the graphic and traumatic stories of countless women who were sterilized without their knowledge during the 1960s and 1970s at the Los Angeles County-USC Medical Center. While scholars Elena Gutiérrez and Alexandra Minna Stern have written about the history and politics of sterilization in California, this film allowed us to view the gripping story that unfolded by using interviews and never before seen footage of the families, doctors, lawyers, and communities who were affected by this traumatic procedure. The film beautifully weaves together the words of the women who lived decades with the pain and stigma attached to their unwanted sterilizations and the ignorant views of doctors, who to this day refuse to accept the gravity of their unlawful actions. The film brilliantly affirms the need for historians’ involvement in documentary film, as it not only focuses on the events that brought this story out of the shadows, but the historical context from which these events emerged. Dr. Virginia Espino joked that she was the “last of Ruiz’s students to produce an academic work,” but she convincingly demonstrated that it does not need include binding. The film was an excellent final tribute to the influence of Vicki L. Ruiz in the academy.